The Bite Just Keeps Getting Better! 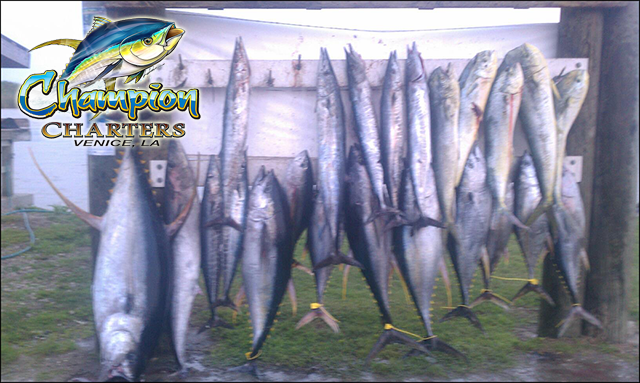 The fishing has been excellent here in Venice and the weather has been cooperating just about each and every day. We have had the pleasure to fish with some great folks from all over the world. 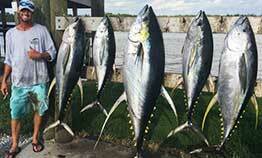 Venice is the top yellowfin tuna fishing destination and it has made us look good recently. If you are looking to book a last minute June or July trip, we have a few dates open and August is starting to fill up, so please give us a call.